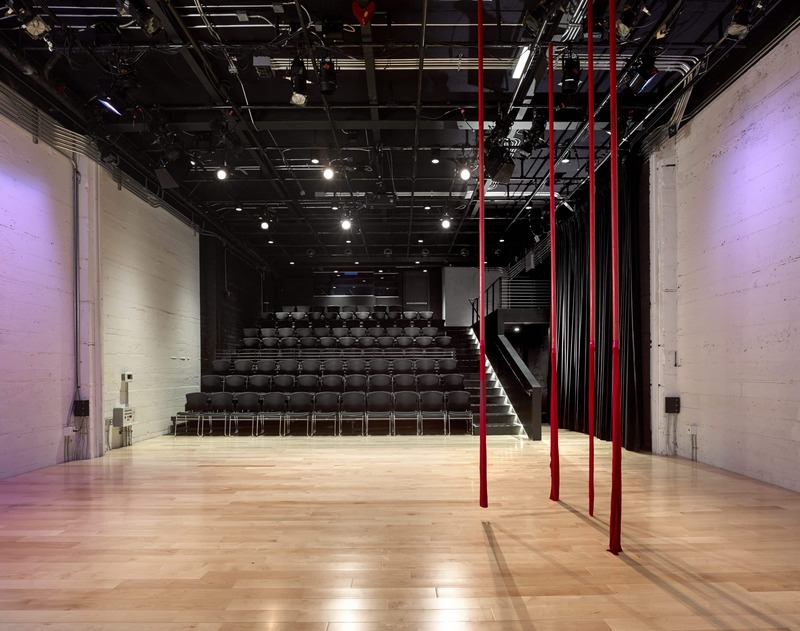 A new home for a pioneering performing arts theater manifests the spirit of openness, inclusivity and community. 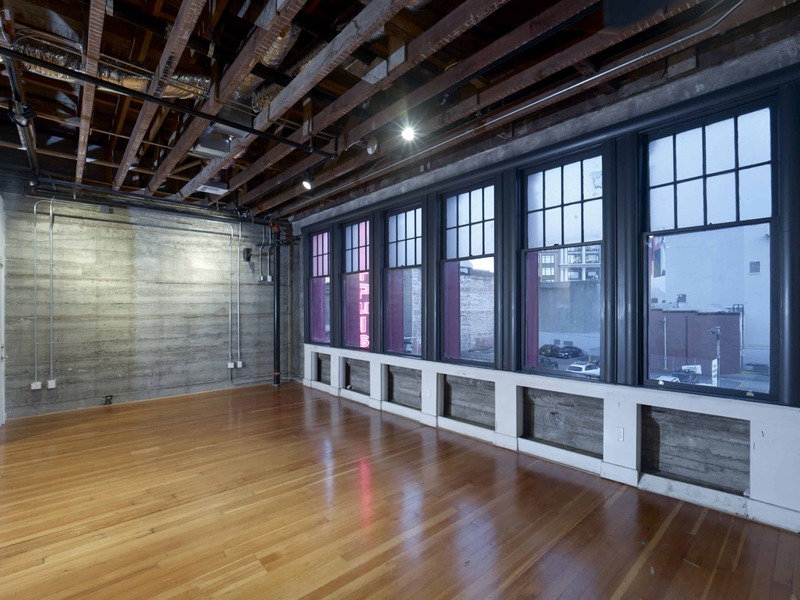 After 10 years in San Francisco’s SoMa neighborhood, CounterPulse feared the clock was running out on its affordable lease. Fortunately, the Community Arts Stabilization Trust, an organization dedicated to keeping nonprofit arts groups in the city, approached CounterPulse to form a partnership. 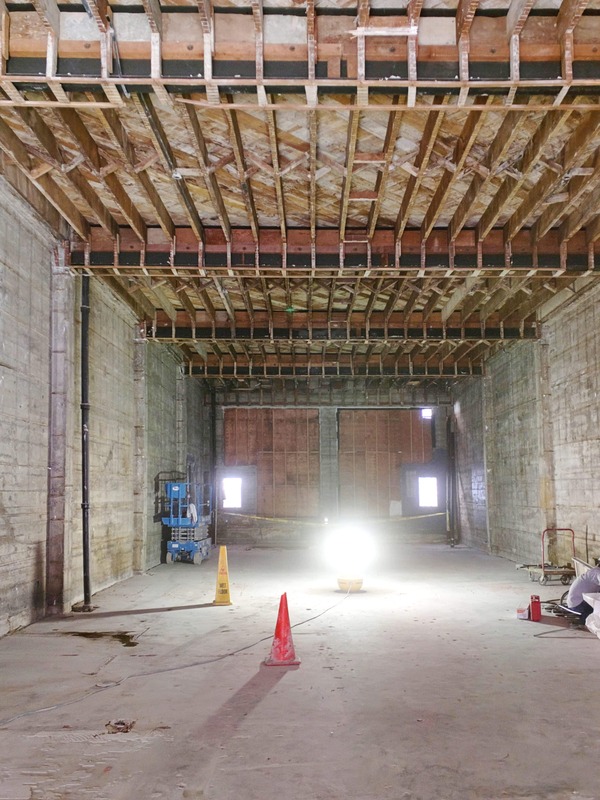 Through this alliance, CounterPulse leased to purchase a onetime vaudeville theater. 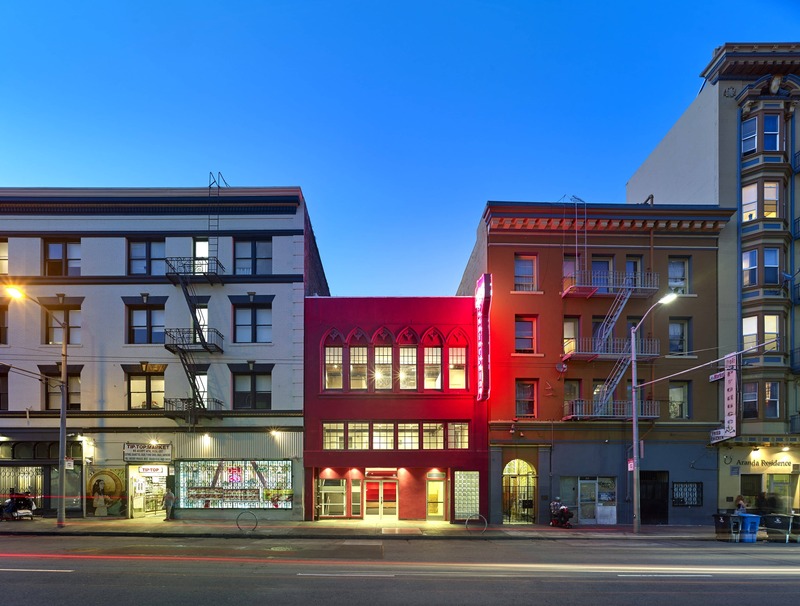 Although rundown, the building provided a secure home in the theater district, close to downtown transit, and a chance to create a theater tailored to its renowned program of experimental performing arts. 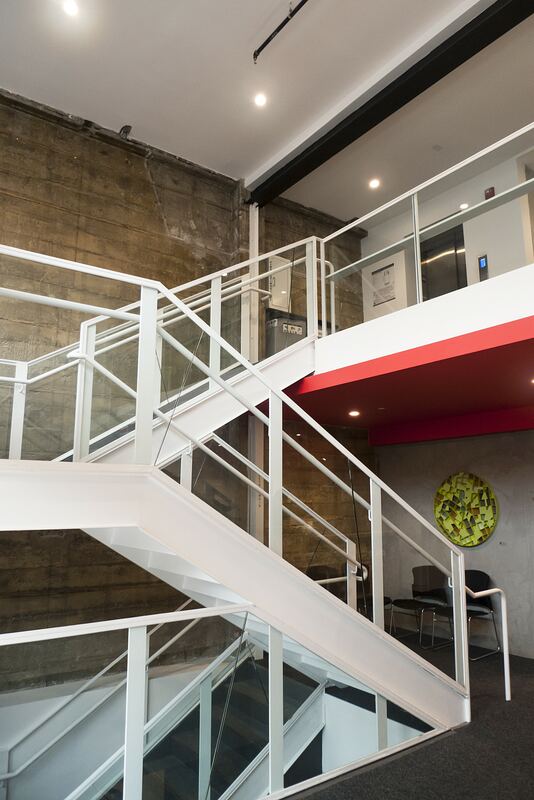 A glass-clad lobby staircase links all three lobby levels and allows visitors to feel connected whether entering from the street or emerging from the lounge. 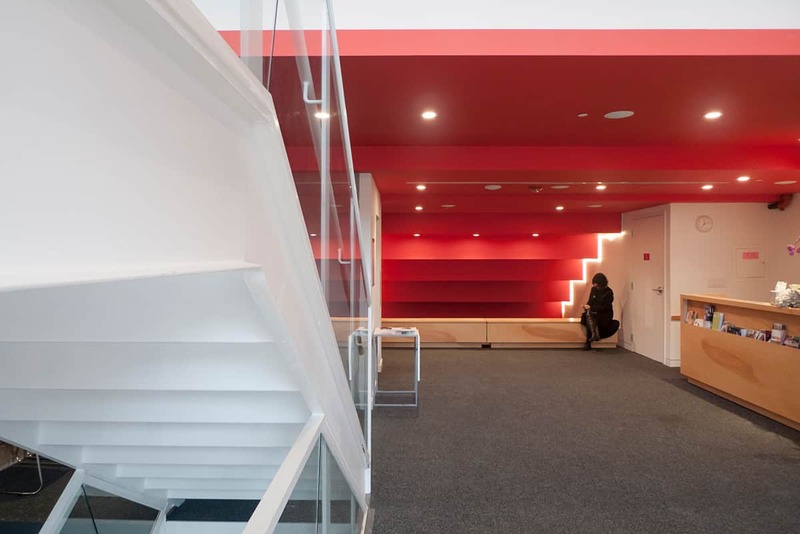 The underside of the cascading theater seats forms the sloping ceiling of the ground-floor lobby, and is painted a vibrant red, to suggest an inverse red carpet. 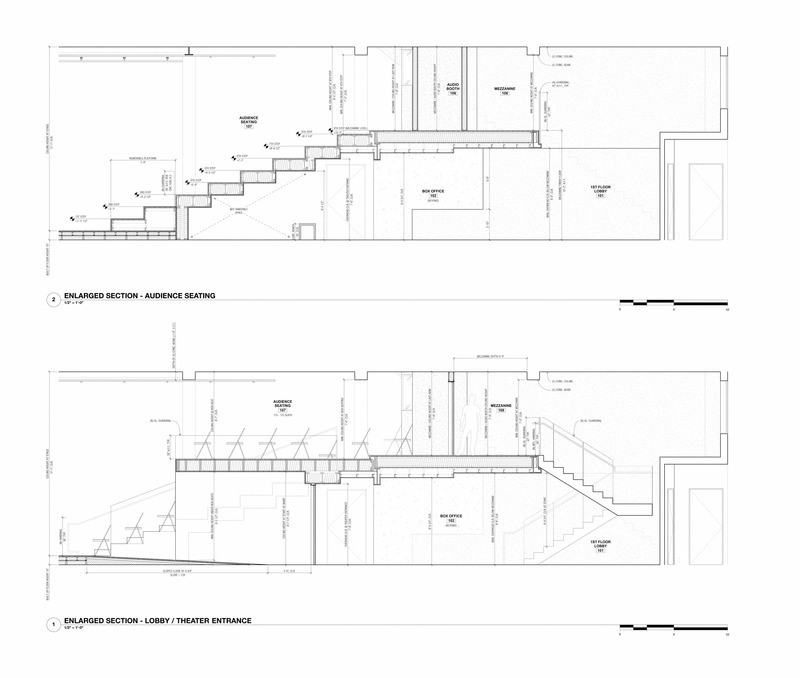 The wooden benches and nooks on the lobby and mezzanine levels extend the warm, inviting atmosphere. 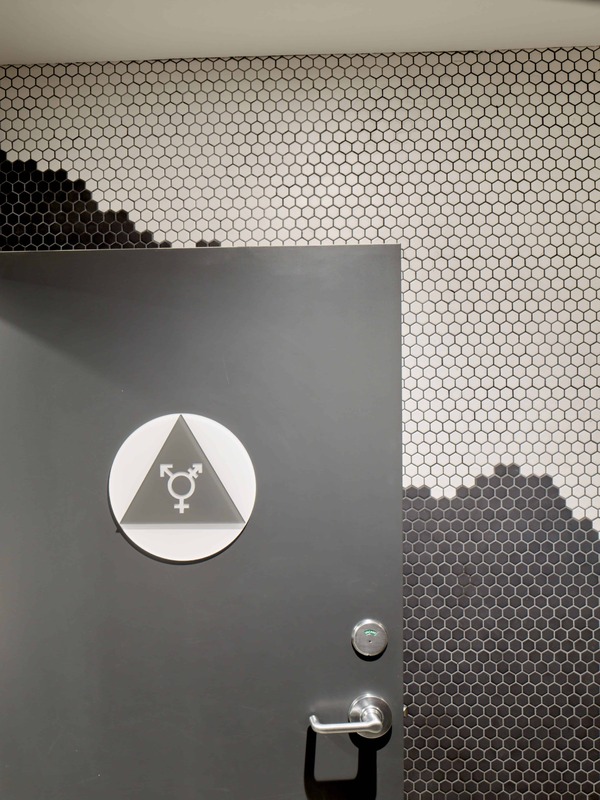 A major consideration was getting the most of the limited space while also providing an enhanced level of accessibility to support CounterPulse’s longstanding collaborations with underrepresented artist communities including the differently abled. 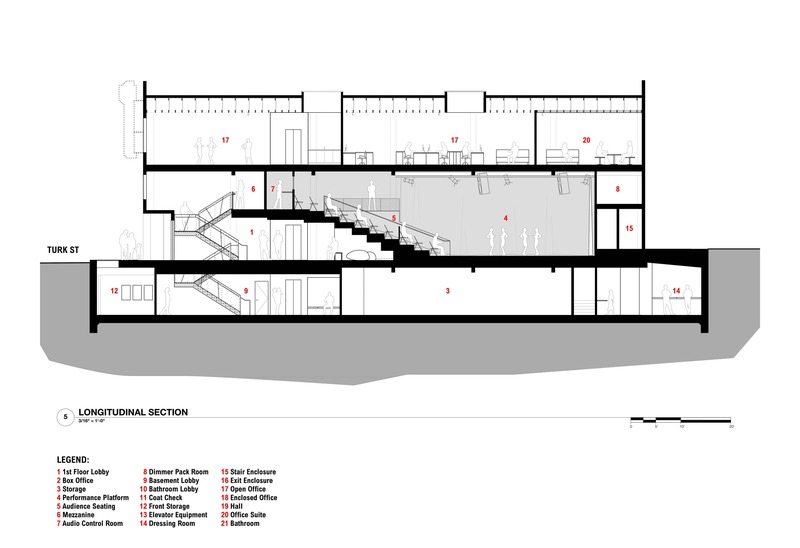 Jensen divided the lobby into two floors—a street-level lobby and basement lounge—with a mezzanine level overlooking the main entrance. Wheelchair seating is accommodated at all levels within the theater, which also offers unencumbered access to the stage. The renovated main stage is a state-of-the-art, 115-seat theater. 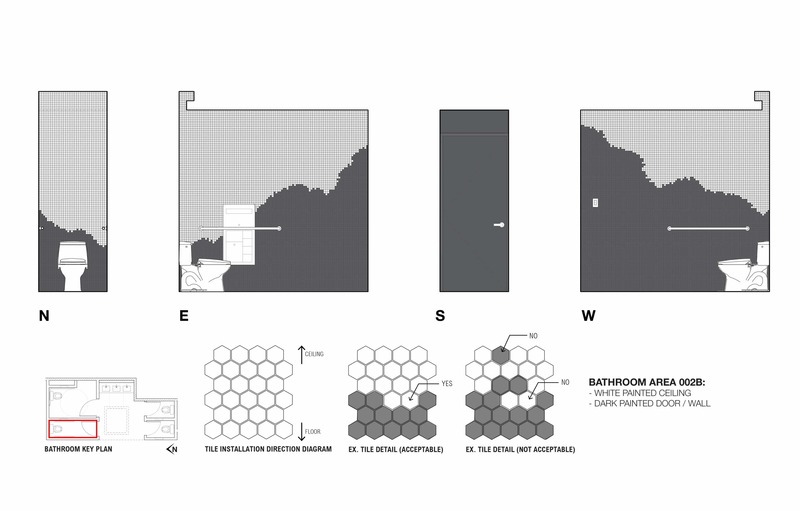 It can be set up as a traditional black box — or white, depending on a production’s needs. 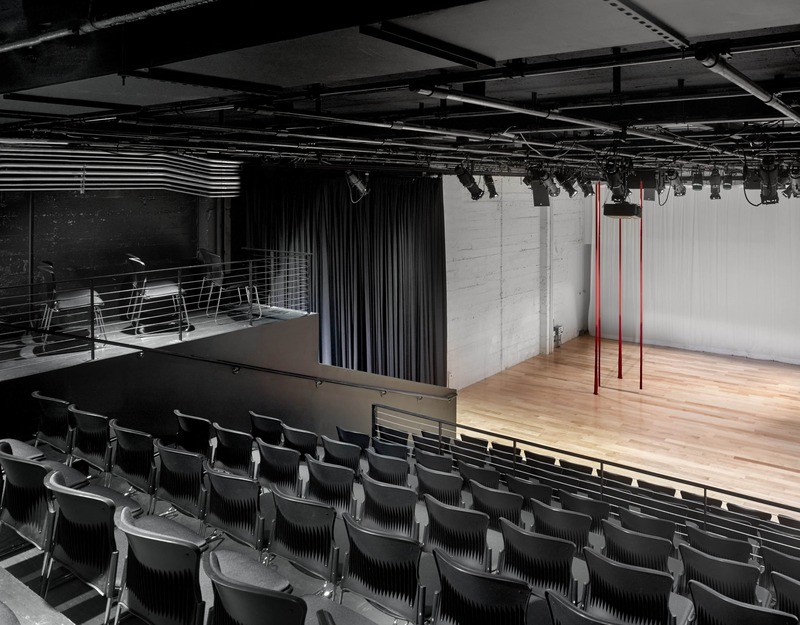 Upstairs is a flexible studio space with a bare wood floor and built-in sound system, well suited for meetings, rehearsals, workshops, and dance classes. The possibilities are many — and the events here are open to every visitor.